Malashri - Ramu's daughter Ananya turned 18 on February 2. Here are the pictures of Malashri family. 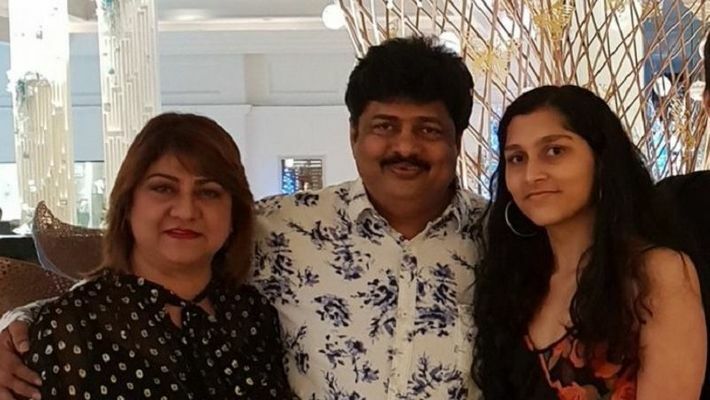 Bengaluru: Dream girl, action queen Malashri and Ramu's daughter Ananya turned 18 on February 2. Malashri shared photos of Ananya and wished her on Twitter too. Producer Ramu and Malashri celebrated the daughter's birthday as wishes poured in from fans across the state. Malashri and Ramu also have a son named Aryan. Though the parents are always in the limelight, the children are away from it. Malashri has been able to keep her personal life away from news. Many people do not know much about her family apart from the fact that she is married to producer Ramu. Wishing her daughter, Malashri wrote on Twitter: "Happy Birthday to my Princess. A daughter is just a little girl who grows up to be your Best friend. I feel so blessed to have a daughter like you"